Have You Gotten Your FREE ‘In Search of the Perfect Birth’ Yet? That’s right. Starting yesterday, and for a VERY limited time, you can get In Search of the Perfect Birth (Kindle Edition) FREE on Amazon. Don’t have a Kindle? Neither do I– you can still get the book. Most of our readers are getting theirs via phone or PC. If you haven’t already, join the hundreds of other people who’ve grabbed it, and make sure you tell people about this. It’ll be over soon. I have been so, so happy at the amazing response we’ve received. So many pages have graciously shared us, and people have been messaging and commenting wonderful things. I hope you will enjoy the book as much as they have. 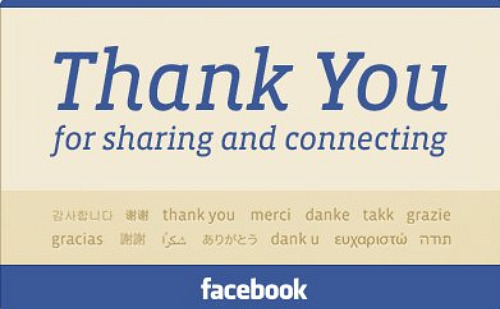 Thank you to the following pages who have so far shared this free book news with their awesome communities. Stop by and visit them and see if you like what they have to offer. So many people have been helpful, so I might be forgetting someone– if I have, please, let me know! The Skeptical Mother I hope to expose the truth and dispel the lies that are often spread by opponents of homebirth and natural childbirth. Lactastic Mommy- Your BFF (Best Breastfeeding Friend) [she shared it, twice!] This page is devoted to helping moms and dads with all things breastfeeding in an open, nonjudgmental forum. Unassisted Childbirth/Freebirth Unassisted birth also called Freebirth, is giving birth without the assistance of a professional birth attendant. The Mom: Informed We provide information and web links for parents. Natural Pregnancy & Childbirth Pregnancy, Natural Childbirth, Waterbirth, Homebirth, Breastfeeding and more. Funky Little EarthChild The gentle and not-so-gentle ramblings of a voice for those who cannot speak. Freebirth Australia A website about freebirth, for freebirthers, by a freebirther! @esalibirth Esali Birth: We believe providing knowledge to our students allows them to be removed of cultural stigmas and fear tactics placed on many of us by society. We are #1 at Amazon Kindle in the Pregnancy/Childbirth category. ♥ In the UK, we are currently ranked #18 in Personal Health on Kindle. If you haven’t helped us spread the word, you’re missing out on being a part of an extremely great group of people. If you haven’t read it yet, join the hundreds of mothers, activists, doulas, and midwives currently reading the book. The positive feedback has been tremendous… I am truly blown away. Be on the lookout for another giveaway starting tomorrow. Our book will still be available for free, so this will be something running simultaneously, and it is baby related (of course). Are you curious what it is? 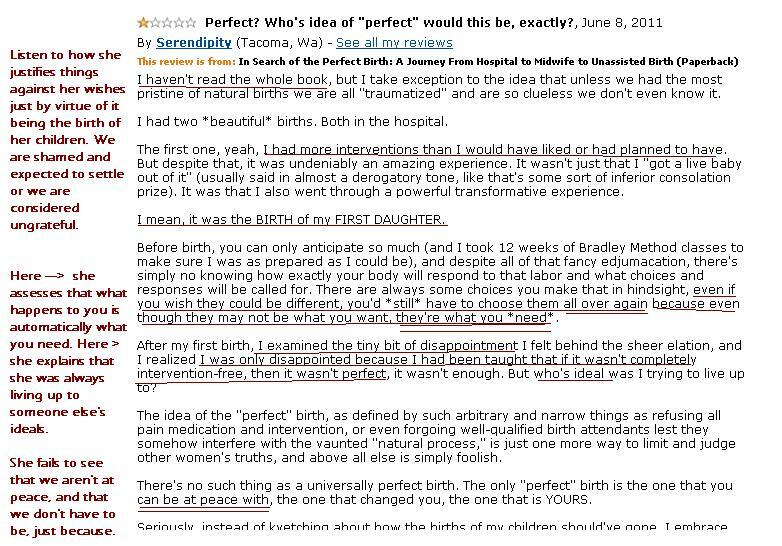 What Exactly is a “Perfect” Birth?! Perfect. Such a provocative word. 1.conforming absolutely to the description or definition of an ideal type: a perfect sphere; a perfect gentleman. 2.excellent or complete beyond practical or theoretical improvement: There is no perfect legal code. The proportions of this temple are almost perfect. 3.exactly fitting the need in a certain situation or for a certain purpose: a perfect actor to play Mr. Micawber; a perfect saw for cutting out keyholes. 4.entirely without any flaws, defects, or shortcomings: a perfect apple; the perfect crime. 5.accurate, exact, or correct in every detail: a perfect copy. Haters are always asking me– what IS a perfect birth, little missy? Well, above, for your convenience, I’ve included the definition of “perfect”. Now add labor/childbirth to this concept and you’ll hopefully understand. “I always thought a perfect birth is one where a baby comes out alive.” Well, you’d be wrong. That’s not good enough! My baby and I deserve more than just to survive. So much can go wrong for women and their babies in birth, especially in today’s childbirth culture. So, if you induce me because you don’t want to miss a special occasion, force me into compliance for arbitrary standards I’m held to even though my baby and I are in good health, forcibly do anything to my body which is not life saving, and remove me from your care because you cannot honor my needs or requests– these are potential imperfections in birth. And I don’t have to settle for that. That’s what my book is about. In Search of the Perfect Birth may sound like a judgy title to someone looking for something to criticize, but you can’t be a true critic if you are judging a book by its cover (or, title). Even though all my babies are alive, I don’t have to settle and gratefully accept the things which happened to me. Disliking my births and wanting more is not the same as disliking my children and being ungrateful that they are here, alive and well. These negative birth events didn’t have to happen, and they weren’t essential for saving me or my children. They were unnecessary. Some women aren’t as lucky as me, and even if their babies live in the end, sometimes those babies have lifelong issues stemming from the birth method. These are very real issues that I’m talking about here. People find this threatening, though, because we’ve accepted sub-par care for so long now, that it’s threatening to define that some births may go “perfectly” and others do not. In fact, most do not. No, it’s easier to say that no birth is perfect, or to insist that an intervention-filled birth was perfect. The alternative is to admit that things didn’t quite go as they should have and that it’s not okay, and that’s either A) a threat to one’s very identity or B) too troublesome a thought to bear. 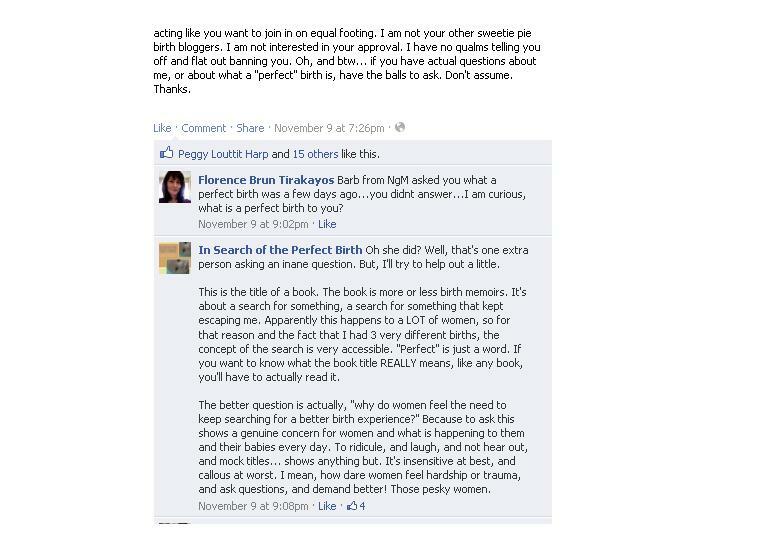 Women who go “searching” for a “perfect birth” are a threat to women who don’t. There is the implication that they settled, that they missed something. That’s my theory on why this is so offensive. But I cannot control who gets offended by this concept. I have an obligation to tell my stories so that others can understand that their searching was not stupid or useless or selfish. I validate their dissatisfaction with the machine, a system that is built to churn people out, not to care about you the individual (mother or child). If I can help make birth and life any better, easier, or healthier for other mothers and their babies, then my pains were not in vain. I will not be silenced just because some out there deep down feel mediocre or inadequate and choose to take their feelings of inferiority out on the rest of the world. 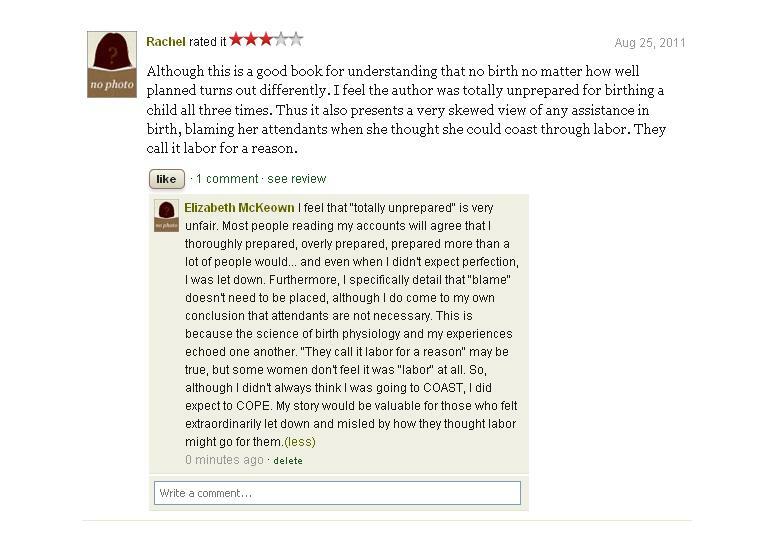 Even on GoodReads, I am being judged as being “unprepared” and “expecting to coast through labor” because of my quest for something more. It made me wonder about Rachel. It seemed like she didn’t even read the book, and got so much factually incorrect in such a short review. Is “perfect” this severely misunderstood? I think so. So, like I said, “perfect” is just a word. It happens to fit, but there is no personally judgmental or sinister meaning behind it. It’s innocent and pure in intention. Honestly, when I named the book, I did it on a lark, speaking totally from the heart, trying to capture what the essence of the book was so that people would understand its content. Still, regardless, you can expect in this life to be misunderstood by plenty. From trolls, to nurses, to midwives, to doulas, to wannabe doulas, to wannabe midwives, and all level of cast and characters, the very people supposed to be the most supportive of women are the most maliciously speculative when it comes to pouring out the heart and soul of one feminine experience. Now, do you really want to know my idea of “perfect”, in terms of childbirth? To me, a “perfect” birth is one that does not involve any physical, mental, spiritual, or emotional trauma to the mother or baby in the process. But apparently, that’s too much to ask. I have some nerve. Hmph! “Perfect”.